When: Wed., May 1, 5-7 p.m. 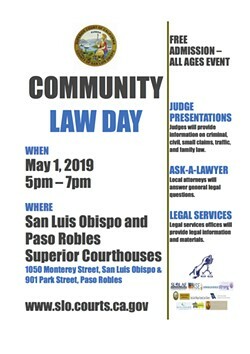 Features presentations from local judges and the opportunity to ask attorneys general legal questions. All ages are welcome. 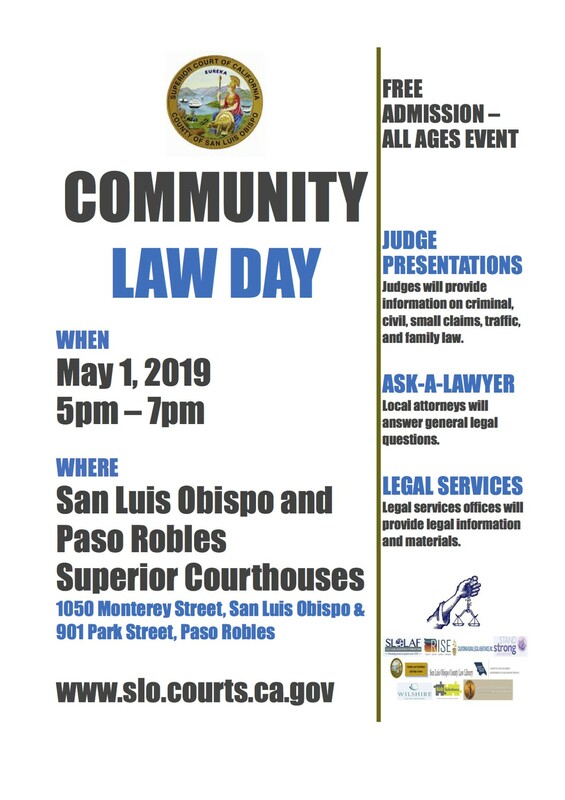 At the SLO and Paso Robles Superior Courthouses.